Northeast Exterminators does an inspection of accessible areas of a home for evidence of wood boring insects like subterranean termites. Our technician will inspect the entire interior and exterior of your property including accessing any sub-space such as basements and crawlspaces. 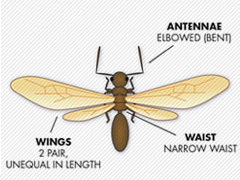 What’s the difference between a Flying Ant & a Termite? If you think you do have termites, it’s extremely hard to get rid of them on your own. Termites are pretty slow to infest and damage a house, but once you are aware of their presence, severe damage may have already occurred. 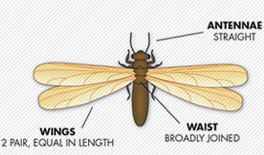 Prevention is always the best form of termite treatment and it starts with a termite inspection. 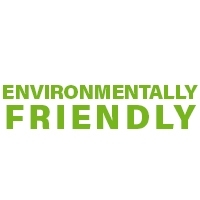 If you have recently had an infestation, you will want to have your property looked at annually until you are confident the problem is resolved. 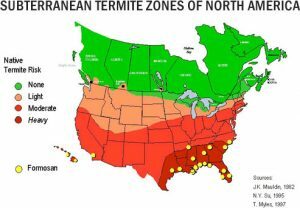 Northeast Exterminators does a visual inspection of accessible areas of a home for evidence of wood boring insects like subterranean termites. Our inspector will visually inspect the entire interior and exterior of a home including accessing any sub-space such as basements and crawlspaces of your property.